Sri City, July 26, 2017:- TATA Toyo Radiator Ltd., which operates as a subsidiary of Tata AutoComp Systems Ltd., hosted an inauguration ceremony on Wednesday, marking the start of its new production facility in Sri City. 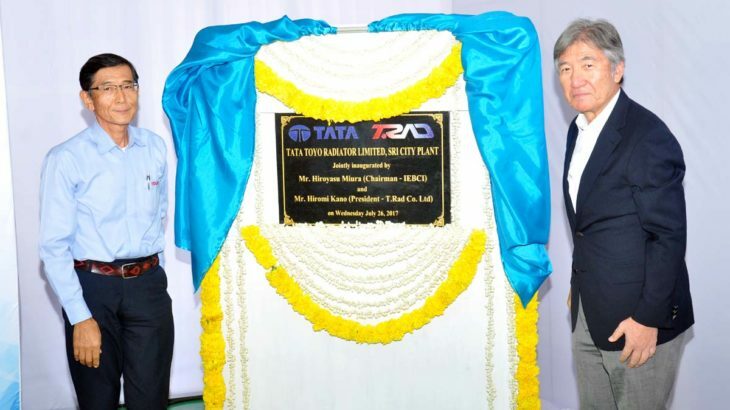 Mr. Hiroyasu Miura, Chairman & Managing Director of Isuzu Engineering Business Centre (IEBC) and Mr. Hiromi Kano, President, T.RAD Co. Ltd., unveiled the plaque and declared the unit inaugurated, in the presence of Mr. Aravind Goel, President, Tata AutoComp, Mr. Ajay Tandon, MD & CEO, Tata AutoComp and a host of Senior Directors of customer companies. 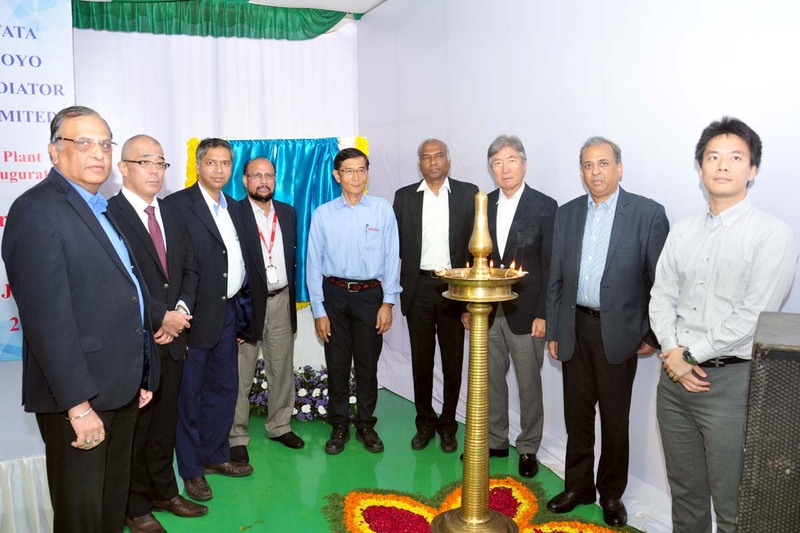 Addressing the gathering Mr. Miura said,”Tata AutoComp, along with T.Rad, has always tried to be at the forefront in offering cutting edge technologies to their esteemed customers.” It is always advantageous to locate the plant in the close vicinity of OEMs, he added. Mr. Kano said that he was glad that their partnership with Tata AutoComp is growing and adding more products in its portfolio. “This will help Tata Toyo strengthen its market standing,” he told. “The array of frequent groundbreaking and inauguration ceremonies, speak of the increasing customer traction to Sri City. We are confident, the strong ecosystem existing in Sri City will attract many more major players from the automotive sector to set up facilities here,” he said. Ajay Tandon said that Sri City plant will help further strengthen and enhance their offering to the customers. The TATA Toyo plant was built in a 5 acre plot in the Domestic Tariff Zone (DTZ) at an initial investment of around Rs. 10 crores. The factory will be expanded in phases and providing employment opportunity for about 60 persons. In Sri City, the factory will manufacture radiators and condensers. Tata AutoComp, which was incorporated in 1997 in Pune, along with its joint venture partner T.Rad of Japan, manufactures radiators, Intercoolers, Heater cores, Condensers, EGR coolers, Oil coolers, Fans, Fan motors, etc., All these products are environment-friendly, have higher heat transfer rates than traditional copper brass heat exchangers, are significantly lower-cost, and offer higher product life and durability. The company has an integrated manufacturing facility at Hinjewadi near Pune. ISUZU, Tata Motors, Ashok Leyland are the important customers.